A brother and sister who forced a woman to work as a prostitute in Sheffield have been jailed for their actions. Nicolae Ionita, aged 24, met the victim in Romania and travelled to the UK with her in September last year. The victim made plans for the pair to seek employment in Milton Keynes but after two days, Ionita convinced his victim to move to Middlesbrough, where his sister Claudia Ionita, 30, lived. Over the next month, the brother and sister, both of no fixed abode, pressurised their victim into working as a prostitute in the town, before the three of them moved to Sheffield in October. 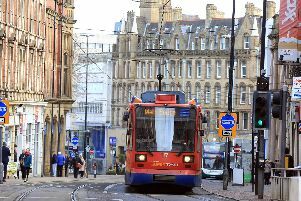 For a month, the victim, who cannot be named for legal reasons, was forced to work as a prostitute in Sheffield while living in the Hillsborough area. Detective Constable Gareth Bryant said: “The pair forced the young girl, who was expecting a job, money and a nice place to live, to work as a prostitute in both Middlesbrough and Sheffield, telling her that it was her only option. “Together, and especially Nicolae Ionita, they used the victim’s dependency on them as a means of exploiting her. In June, both Nicolae and Claudia Ionita were due to go on trial for two counts each of causing or inciting prostitution for gain. The siblings entered guilty pleas at the start of the trial and were bailed until yesterday, where they were each jailed for 21 months. DC Bryant said: “The woman has been so incredibly brave throughout this entire process, from coming forward to report what happened and working with the investigative team to provide statements and evidence. “Her courage is a testament to getting the Ionitas to court and now behind bars. This was a complex investigation which saw two people exploit a vulnerable young woman.